With Singapore having one of the highest rates of myopia globally, how can parents control childhood myopia or keep myopia at bay? Dr Cheryl Lee, founder of The Myopia Clinic gives further insight. Myopia, which is also known as short-sightedness, is a common eye condition where close-up vision is clear whereas objects that are far away appear blurred. Myopia occurs when the eyeball is longer than perfect; the longer the eyeball, the higher the myopic prescription. While there is a greater risk of children having myopia if their parents are short sighted, there are environmental factors that can cause myopia as well. 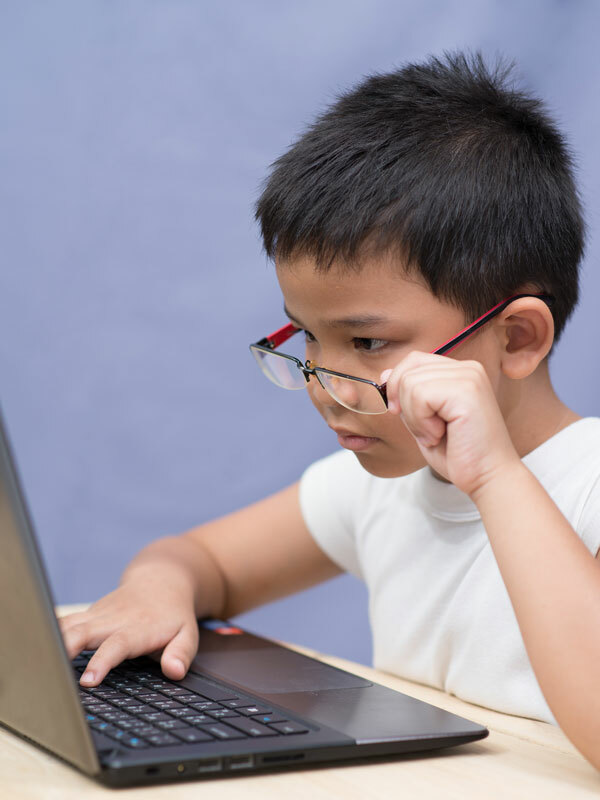 Excessive near-vision work such as reading and the usage of electronic gadgets, as well as prolonged time indoors may contribute to increased risk of childhood myopia – sunlight can have a protective effect on vision in children. Childhood myopia sees its highest increase from four to 12 years of age, which makes it important for children to undergo thorough vision and prescription checks from the age of four. Early detection of myopia is key. Generally, the effects of myopia are irreversible, but there are many ways to stop and slow its progression. According to Dr Cheryl Lee, the rate of abnormal growth in myopia slows substantially after the age of 12. Thus, especially for children aged 4 to 12, it is essential to keep myopia under control to help prevent the risk of potential complications later in your child’s life. These glasses slow down the worsening of myopia by 30 per cent as compared to conventional eye glasses. These work by strengthening the wall of the eyeball, thus slowing down eye elongation. The atropine drops prescribed at The Myopia Clinic are of low dosage and are preservative free, thus having no side effects such as glare under sunlight or reading problems. Intended for night time wear, Ortho-K lenses are specially designed, gas permeable contact lenses that act as a mould to reshape the cornea during sleep. The lenses are removed after your child has awakened, resulting in optimal vision for the whole day without glasses or contacts during the day. When should your child consider starting treatment? If there is more than a 50 degree increase in myopia within six months, atropine drops or Ortho-K lenses may be used. The choice of treatment is dependent on the age, lifestyle, prescription, and motivation of each child. “All treatment methods are safe when properly taught – the risks of not controlling myopia far outweigh the risks of each treatment, and time is of essence,” assures Dr Cheryl Lee. 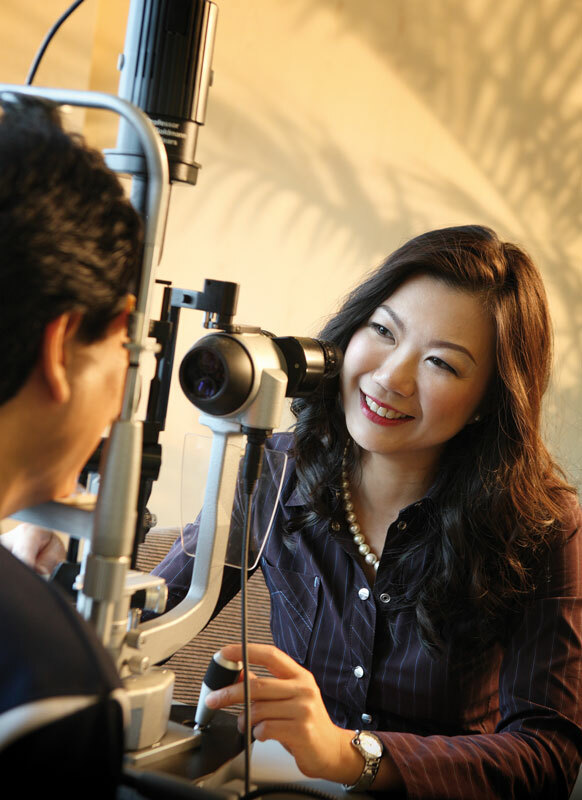 Bio: Dr. Cheryl Lee has two decades of experience in Ophthalmology and specialist training in England, America, France and Singapore. Her passion for the prevention and treatment of myopia and the diseases linked to being short-sighted has led her to found The Myopia Clinic. This post was brought to you by The EyeClinic by Dr Cheryl Lee. For more information, head to www.theeyeclinic.com.sg. Fun Baking Ideas for Christmas!